.. a component of your data analytics center of excellence ...relating your data to demographic-economic characteristics and trends involves more than information provided by a report or set of statistical tables. It is important to use your data to be able to identify areas of missed opportunity and competitive position. It is important to have a "10,000 foot" view as well as understanding individual neighborhoods and market/service areas. Geographic Information System (GIS) tools, with the right set of geographic, demographic and economic data can facilitate decision-making through the use of visual and tabular data analytics. This section provides information on installing and using the Minneapolis-St. Paul Metro Demographic-Economic GIS software and project/datasets. This same scope of data, tools and operation is available for any metro, state or combination. Examine extended geographic, demographic, economic characteristics for the metro using the related Minneapolis metro Situation & Outlook report -- available for all metros. Patterns of percent population change 2010-2016 by county (see more) using the U.S. by county layer. The Minneapolis metro (see pointer) is shown in context of state/region. .. illustrates use of the "us1_metros_minneapolis1.gis" GIS project. Population and components of change data for the period 2010-2016 are included in the U.S. by county shapefile and part of the GIS project. Use the ProximityOne county level annual projections to 2060 to examine demographic characteristics and change into the future. 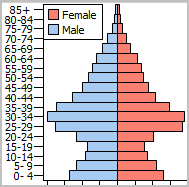 The County 2060 projections are available by age single year of age by gender by race/origin by origin. The following graphic shows patterns of median household income by census tract for the Minneapolis metro area. 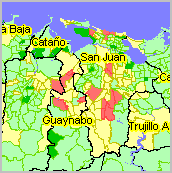 This is the start-up view when using the GIS tools and data described below. The color patterns/intervals are shown in the highlighted layer in legend at left of map window. 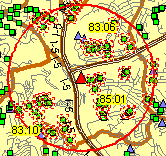 Use the GIS tools described below to develop thematic pattern maps for a range of data and criteria. .. illustrates use of the "us1_metros_minneapolis.gis" GIS project. 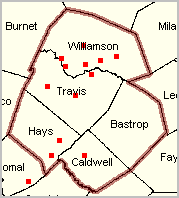 See more about census tracts; see tracts main page. 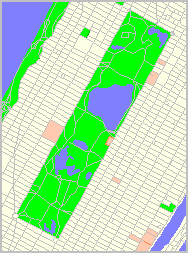 Several additional views follow, developed using this same GIS project. These views illustrate different levels of geographic granularity and patterns of different subject matter. See more about block groups; see block groups main page. See more about census blocks; see census block main page. 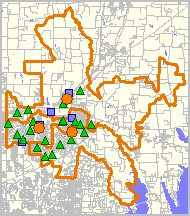 Minneapolis city and St. Paul city are shown as cross-hatched areas. 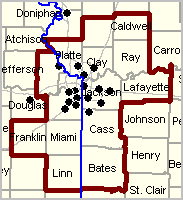 This view uses a statewide by city layer/shapefile. 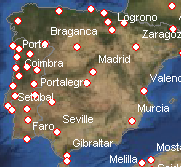 A query is used to shows only these two cities for this view; any city(s) could be selected. The blue markers are Starbucks store locations further discussed below. See more about cities/places; see cities/places main page. Access data for any city using interactive table. 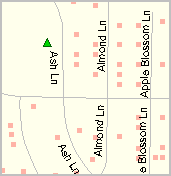 This view shows locations of selected Starbucks stores in the Minneapolis City/County area. It is easy to see which locations are located in areas of higher/lower economic prosperity. The underlying layer shows patterns of median housing value by block group -- use your own selected subject matter and geography. 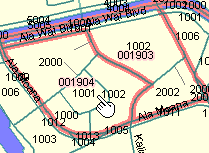 Use any address or location data to create and add your own address/point shapefile. 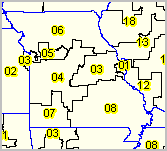 See that the "locations2" point shapefile appears at the top of the legend panel at left of map window. The identify tool is used to click on a store location (see pointer) and show a mini-profile. Use as many attributes as you like for your locations data. See more about creating location shapefiles (CLS). 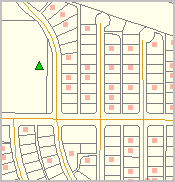 The CLS process enables you to automatically assign a census block code to each location/point. .. same view as "2 cities" above. 4. Done. The start-up view is shown above. Data are from 2015 ACS 5-year estimates unless otherwise noted.